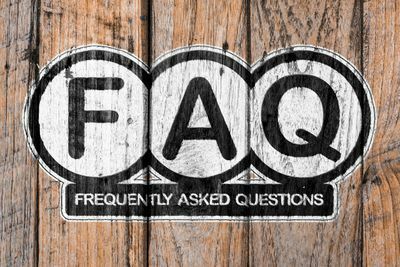 FAQ – Positive Lifestyles Corp. Positive Lifestyles Recruitment specializes in finding top talent for organizations looking to grow their teams. We specifically liaise between employers and their potential new employees. Many organizations secure the services of recruiting firms like Positive Lifestyles Recruitment to facilitate their hiring because we can access large networks of candidates and are experts at screening applicants and assessing their qualifications. For candidates seeking a job, our recruiters focus on placing them into roles that are the right fit. With access to the hidden job market, job seekers who partner with us have a foot-in-the-door advantage. Positive Lifestyles Recruitment offers a variety of permanent and contract positions in many industries across Canada including junior, mid to senior and executive level roles. To learn more about how to apply to our jobs, you can apply by sending your resume to info@positivelifestyles.com, be sure to include your contact information and the type of job you are looking for. All of our job postings require differing levels of experience and skills. Often we are required to keep salary information confidential, and present it only to the candidates who have been selected for an interview. Our recruiter will always inform you of pay details if you are being offered an interview for a specific job. Q: CAN I APPLY TO A JOB IF I DO NOT HAVE A WORK PERMIT? Q: HOW MUCH DOES IT COST TO WORK WITH POSITIVE LIFESTYLES RECRUITMENT? Our services are absolutely free to all job seekers. There are no fees to apply to our jobs or to engage with our recruiters in finding a new career. For Positive Lifestyles Recruitment to contact you regarding our services, we require your consent, in accordance with the Canadian Anti-Spam Legislation (CASL). You may update your email preferences to unsubscribe at any time. Applications are sent directly to our recruiter assigned on the job posting. Applicants will receive a confirmation email for each online application as soon as they apply for a job by completing the short form and clicking on the submit button. Our recruiter will contact you if your application is being moved to the next stage of the recruitment process. Although we would love to ensure every applicant lands a job, it is ultimately our client who decides which candidates to interview and who to hire. Positive Lifestyles Recruitment does offer formal resume writing and consulting services; our recruiters are pleased to take time to review your resume in detail and provide you with professional advice and suggestions for improvement for a nominal charge. Should your work experience, education or contact details change, please send your updated resume to info@positivelifestyles.com. Our applicant tracking system will default to your latest resume update. • Visiting your local public library or community centre. • Finding a nearby Internet cafe or employment center. • Asking a friend or relative for assistance. You may also email a copy of your resume to us at info@positivelifestyles.com. Q: WHAT ARE POSITIVE LIFESTYLES OFFICE HOURS OF OPERATION? Our offices across Canada are open Monday to Friday from 8:00 am to 5:00 pm local time and closed on Saturday and Sunday. Our busy recruiters meet candidates on an appointment basis. If you visit a local Positive Lifestyles branch without a scheduled appointment, we cannot guarantee a recruiter will be available to assist you. We also recommend you submit your resume online, in lieu of dropping off a hard copy, to ensure it is received and all information is properly imported into our internal database. First, confirm whether you have access to other Internet sites. If you are certain the issue is specifically related to www.positivelifestyles.com, please email info@positivelifestyles.com. Positive Lifestyles Recruitment does not share your personal data with any third party. Our recruiters do not present your resume to any of our clients without first obtaining your permission. We would hate to see you go but you can request that your file be removed from our system. Call your Positive Lifestyles Recruitment office, provide our receptionist with your name and indicate that you would like your file removed from our internal database. All data pertaining to your account will be permanently deleted but please note that such an action will result in your resume being irretrievable. If you have any additional inquires, send us a message. Positive Lifestyles Recruitment specializes in jobs in Canada and the US only. All applicants must be legally entitled to work in Canada. This includes having proper documentation such as a work permit and must be physically present in Canada. For more information about immigrating to Canada, visit www.cic.gc.ca. At this time, Positive Lifestyles Recruitment does not provide sponsorship for immigration.